Order your bulk The Bay gift cards from NGC Canada today! Issuance and use of this Gift Card constitutes acceptance of the following terms and conditions, which may be revised any time. The card balance can be redeemed for merchandise at any Bay, Zellers and Home Outfitters (Déco Découverte) store. This card will not be exchanged for cash. No change will be given for any unused balance. The value on this card will not be replaced if lost, stolen or used without permission. Protect this card like cash. 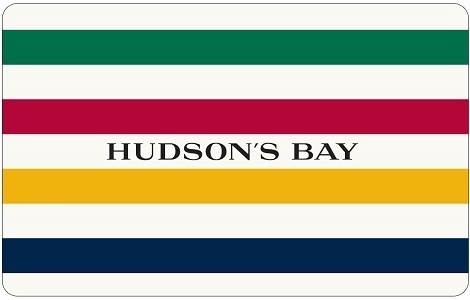 This card cannot be used for payment towards a Hudson’s Bay Company credit card. This card may not be accepted by certain licensees.